Having toured extensively over the past few years, Laughing Buddha is ready and waiting to expose you to the rolling baselines and hard-hitting sounds from his debut solo album 'Sacred Technology' on Nano Records. This highly anticipated album, which has received some great feedback from dance floors everywhere, is a true treat from one half of the ex- Cosmosis duo, Jeremy van Kampen. 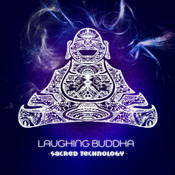 In true Laughing Buddha style, this album will leave you wearing a huge grin for days on end. ManMachine, the psychedelic and progressive alter ego of Miroslav Bako also known as Excizen, one of the strongest tektrance names from Serbia. project on serbian Rsp.fm. After many years of DJ-ing, he turns to production and immediately achieves success with the debut of his live project in UK's popular Higherground Show in 2003. In 2008 he signed two tracks on Kagdila Record’s Digital Speakers vol. 2 compiled by Ovnimoon and after that was busy in his studio working on his full length album for Excizen project, which was released to high acclaim in February '09. on the now well established label Soundmute Recordings with additional EPs released on Pure Perception Records, Horns And Hoofs and Nachtstrom Schallplatten. After solo album "Reintegrate", some tracks on various compilations and "Persistence EP" on Geomagnetic, ManMachine coming back to Europe and streeve back into true, fresh and pure psychedelic trance with "Absolutus" ep, signed for Midijum Records.